Weeks after Faraday Future announced it would halt construction of a $1 billion factory in Nevada, the company said on Monday that it has a new lease on life, after securing a facility in California to continue efforts to build an all-electric autonomous car. In a statement that represents some of the most candid remarks from Faraday executives to date, the company’s chief financial officer, Stefan Krause, said there remains a number of challenges ahead. “We know there is a lot of work and risks ahead, but this event represents a major step forward for the company,” Krause said. The company’s expecting to officially move into the factory at the beginning of 2018 when the lease terms begin, according to The Verge, which first reported news of the deal on Sunday. Photos posted by Nick Sampson, Faraday’s senior vice president of R&D, showed employees were on-site over the weekend to help clean up the factory, which has reportedly been mostly unused since 2001. The new site, known as Hanford Business Park, is 1 million sq ft, and Faraday says it hopes to eventually employ up to 1,300 workers over three shifts. The building, about 200 miles north of Faraday’s corporate headquarters, is owned by a development firm called Industrial Realty Group, which is behind the controversial deal involving Elio Motors and a former General Motors factory in Shreveport, Louisiana. 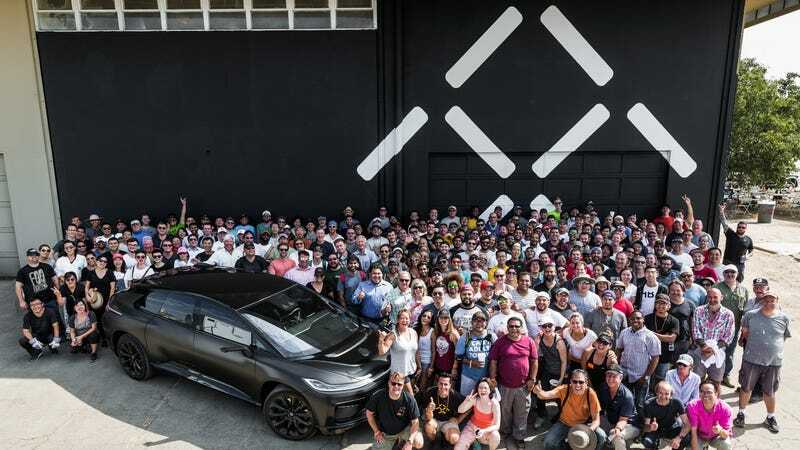 The company has indicated in recent weeks that it was looking for a turn-key investment of sorts to stay on schedule and bring its flagship vehicle, the FF 91, to production by the end of 2018. But financial problems have plagued Faraday throughout this year, including a court decision that froze the assets of its main financier, billionaire LeEco founder Jia Yueting. Faraday said in May that it was looking to raise $1 billion to shore up its funds, but the effort was reportedly unsuccessful. Faraday recently secured a $14 million emergency loan by putting its corporate headquarters up as collateral, according to the Wall Street Journal. The loan’s intended to help keep the lights on while the company tries to secure additional long-term funding, the newspaper reported.